This tour is for fans of automobiles. New cars, old cars, classic cars, collectible cars. And oh yes, some bicycles, motorcycles, buses and trains too! In just 2 days in January, you will visit the NAIAS North American International Auto Show (aka Detroit Auto Show), the Automotive Hall of Fame, the world famous Henry Ford Museum and get a tour of a private collection of classic and collectible automobiles. Bring your cameras.... this trip is full of photo opportunities. As an alternative for those who prefer not so much auto in their weekends, you will have the option of skipping the Detroit Auto Show and spending a few hours at the Great Lakes Crossing Outlet Mall instead, one of the best outlet malls in Michigan with 185 outlets and retail stores. One night's hotel accommodation in Detroit area included. Admission to NAIAS North American International Auto Show included. Admission to Automotive Hall of Fame included. Admission to the Henry Ford Museum included. Admission and private tour of classic & collectible car collection included. Alternative visit to Great Lakes Crossing Outlet Mall included for those who wish to skip the auto show. Breakfast on Sunday morning included. For those not so auto inclined, you have the option of visiting the Great Lakes Crossing Outlets. Great Lakes Crossing Outlets features over 180 stores. Anchor stores of the mall include Burlington Coat Factory, Bass Pro Shops, The Children's Place Outlet, Neiman Marcus Last Call Clearance Center, Saks Off 5th and The Sports Authority. One of the hidden gems of the Detroit area is the Automotive Hall of Fame. This museum is dedicated to preserving and celebrating outstanding automotive achievement. 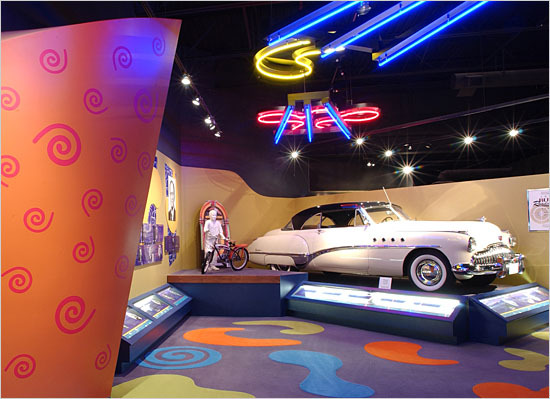 Since its founding in 1939, the Automotive Hall of Fame has honored nearly 800 automotive industry greats from around the world and has some terrific exhibits in its 25,000 sq.ft. facility. A model of the nuclear-powered Ford Nucleon automobile. A ten-person safety bicycle made in 1896. A collection of several fine 17th and 18th century violins including a Stradivarius. The bus on which Rosa Parks was riding to work when she was arrested for refusing to give up her seat, leading to the Montgomery Bus Boycott. Bill Elliott's record-breaking race car clocking in at over 212 MPH at Talledega in 1987. Fairbottom Bobs, the Newcomen engine. A working fragment of the original Holiday Inn "Great Sign"
On the way to Detroit on Saturday morning, we will be stopping for a tour of a private classic car collection and restoration facility. Containing hundreds of classic and collectible automobiles at any given time, this is truly a one of a kind collection. There are 3 pickup locations in the Toronto area. Addtional pickup locations may be available along Hwy 401 between Toronto and Windsor, please ask for details. 7:30 AM -- York Mills Subway Station, Toronto. We leave Toronto on Saturday morning at approximately 7:00 AM. Actual pickup times vary by stop and will be sent out in the final email to all registered attendees, 2 days before the trip. Emergency medical insurance is highly recommended for all passengers. If you do not have coverage under an existing policy, please contact Marville Travel at (905) 891-0111 they will be happy to make arrangements.